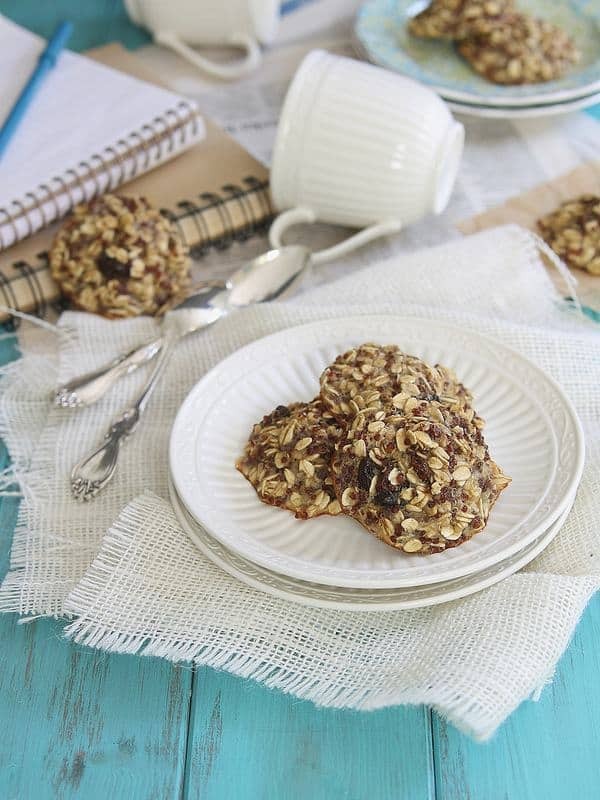 These easy 5-ingredient quinoa breakfast cookies are made with oats and raisins. 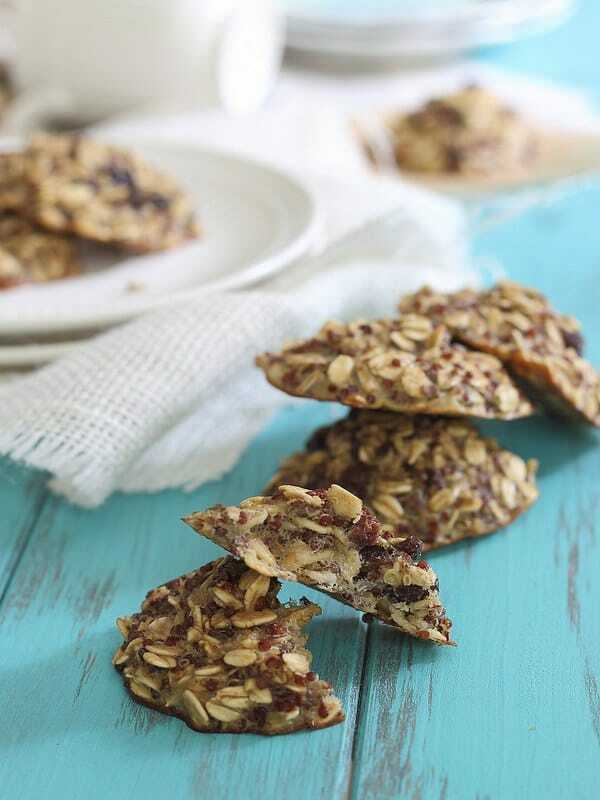 They’re the perfect on the go healthy and easy breakfast treat. Let’s use the word “cookie” loosely today. Because I’m calling these cookies and yet I can’t stop eating the batch of these pumpkin chocolate chip cookies I made the other night. Both call themselves a cookie but they couldn’t be further apart on the cookie spectrum if they tried. There’s a time and place for legit chocolate chip cookies and there’s a time and place for 5 ingredient, hearty, healthy breakfast cookies too. Let’s talk about the latter. Sometimes it’s a Van’s waffle, sometimes it’s a piece of Ezekiel bread but from here on out it might just forever be these. 5 ingredients (we’re not counting salt & vanilla because what self-respecting person who has ever set foot in a kitchen doesn’t have those on hand?! ), 15 minutes and you’ve got healthy breakfast cookies on your plate to fill your carb loving void. If you’re expecting soft batch chocolate chip texture, you’ve got another thing coming to you. These ain’t it. If you want something healthy you can chow down on with your cup of coffee and not think twice about how many you eat, I got you, kid. 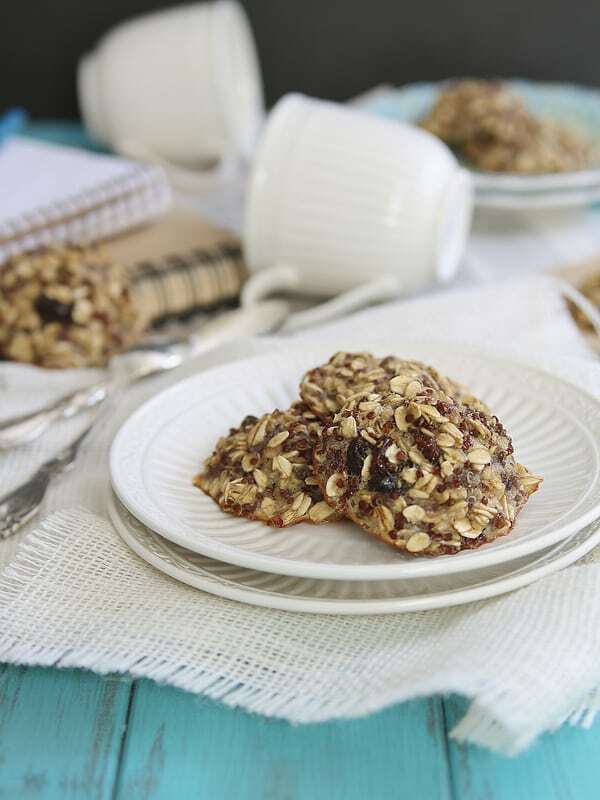 These easy 5-ingredient quinoa breakfast cookies are made with oats and raisins. They're the perfect on the go healthy and easy breakfast treat. In a large bowl, mix together the banana, egg and vanilla. Add the remaining ingredients and mix together. Spoon the mixture onto a greased or silpat lined baking sheet in heaping spoonfuls. Is it possible to fall in love with a cookie? Because I think I just did! These look amazing Gina. They will be whipped up soon! Yum!!! They look lovely and chewy!!! Any joy on the recipage front? Seems to be working again now! So up and down!!! You reckon these would work with a flax egg? Oatmeal raisin cookies have always been one of my top favorites… isn’t that weird? Even as a kid. These look delish! What a creative way to make cookies! Love these! Love breakfast cookies and I’ve made them quite a few times, but I’ve never thought about adding quinoa. What a great addition!! I have been looking for a good, road-trip friendly breakfast cookie. These look perfect! Thanks for the recipe!! If I wasn’t allergic to quinoa I would make these in a heart beat as they look so delicious!! Love the use of quinoa, such a great idea. Genius use of quinoa! I love, love this recipe Gina. I made these this morning (it took me literally 90 secs) and I’m pleasantly surprised at how sweet they are despite any addition of sugar. I like them a lot, thank you Gina! Added diced apple instead of raisins and an extra 1/4 cup of quinoa. Made some tasty muffins! I love putting quinoa in my cookies And I am loving this whole combination of ingredients you’ve got going on here. Power cookie is right!